Ephesians tells all husbands to love their wife as Christ loves the church. Ephesians, though, doesn’t tell you to love your wife the same way I love mine. In fact, the Bible doesn’t tell me to love my wife the same way for my entire life. I don’t know about you, but if I loved my wife today and showed her that I love her the same way I did 20 years ago, she’d be done with me. She’s changed, I’ve changed, culture’s changed, and my way of loving her has changed. There’s no way to manufacture a move of God. Yes, we follow God’s heart and the Spirit’s leading to plan, pray and prepare in faith that God will move though all we do, but only He can make the move. Stanford University did a study a while back to see how people communicate. They divided people into 2 sections… guessers and tappers. The tappers job was to tap out common songs and the guessers were to guess what song they were tapping. 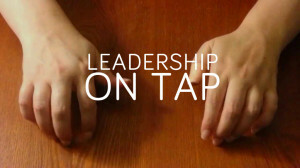 When asked before the study, the tappers said that they believed the guessers would get about 1/2 of the songs correct just by hearing the tap. At the end of the study, guessers got around 2 % of the songs right. You spend some great time with God. 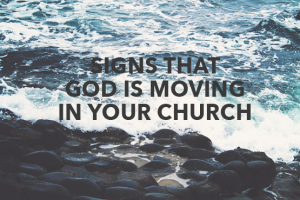 You really feel you know what the next step of Kingdom growth for your church should look like. You begin to move in that direction and earnestly try and get buy in, just to be met with disappointment and frustration. 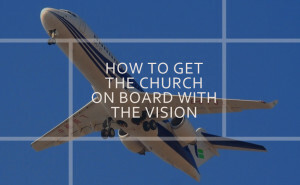 This happens all too often when a leader fails to establish a “Vision Protection” team.